As the country is currently running without budgetary support, a political commentator in the country has asked government to bow down to the demands of donors saying the country will not survive without donor aid. Mvula: Says Malawi needs aid. The International Monetary Fund (IMF) suspended a loan facility to Malawi due to overspending in the bills as well as on subsidies. 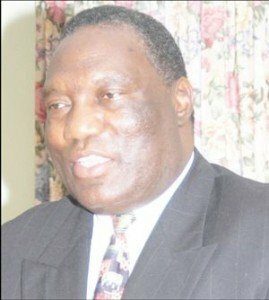 One of the political commentators in the country Humphreys Mvula said Malawi can’t survive without donor support as the country does not have investments in production. “Malawi can’t survive without help from donors, there is a need for the country to win back the support from donors and we need to bow down to the donors’ demands as they want us to put tight measures in financial discipline,” said Mvula. He further said that the country has not invested in money making ventures and relies on agriculture which has failed us. Mvula added that government needs to speed up cashgate cases as demanded by the donors and there is a need to strictly check the system of handling cash as at the moment it is porous. POVERTY SPIRIT RUNNING IN OUR MINDSET-GOD HELP US!! Ndiye kuti mkuluyu amene akuzitcha political commentator anakula mothandizidwa, ndipo banja lake likuthandizidwabe mpaka pano. Payekha zikumvuta. Azabanso kaye.Simudziwa?Zikhale choncho mpaka abwenze ndalama zobedwazo. Many are mentioning countries like China and South Africa.I think the major source of the current economic disaster is when the government of malawi failed to finish its project work at Nsanje World Port.What Bingu dreamnt isnt the same as it is today.Mw could easly prosper through this project.SA has an access to Aurope,Asia just to mention afew.What about Mw? Sitingamvutikedi sinanga enawo za cashgate akudya nawobe,chibwana chenicheni tiyeni tikambe zaku zimazima kwa magesi. Why cheat yourself? Malawi CANNOT survive without donor aid, you mean by overtaxation on you basi? You are so myopic and you boast as if you see beyond 2017? Shortly you will believe that we are nothing on our own this time. If South Africa is donored, what more about Malawi with its “sick” leadership? Think aloud you amalawi! The truth is we can’t survive without donors. there will be pain,but we have to be bold & brave …there seems to always be blood shed when there is strugle for liberty…we cant survive? we will survive. let me share astory: i always relaid on my ever providing gaurdian for everything,so when my gaurdian passed,i seriously felt it to be definately the end of me,those that saw me cry thought it to be out of love i had for the diceased,but now i rialise it was selffish tears,i was crying for the lesure provided by the late that was no more,my not having to do things on my own,his providing never required me to figure out what I HAD TO DO TO HELP MYSELF,KNOW MYSELF,FEND FOR MYSELF,so i could grow & become abetter me,though i am still awork in progress.any way….this is what i have learned “the pain(independence from donor aid) is the breaking of the shell that incloses our understanding,it is the bitter portion by which the physician within(wake up to reality) heals our sickness(survival without donor aid),therefore we should trust the physician(the process,without donor aid)and drink his remedy(required policies & practices suitable) in silence & traiquility…plus when one does not change of their own accord for the better circumstances(terrible) force them to…in this case cashgate,it opened our eyes…let us look for away forward. thanks for the positive critic,i apreciate:gues i get carried away. But who says Malawi is not getting donor aid. Donor have stopped direct budgetary support but are still helping us on development budget. They are also not channeling their money through the porous government system. Malawi can’t do nothing without donors let’s stop fooling ourselves long time they have been giving us donation so why not now and if we compare China and Malawi then we are way far from then because we dont have the same resources and lnfraatructure .Evan in the companies its Old People holding high positions for Us the the youth we lack jobs. We should creats more jobs for the youths and build moreb infrastructures of which isnt easy for Malawi as the Economy is still affecting the Country. inu nomwe mukuti tisiye kudalira ma donors, koma mitu yanu ikupeza bwino? Ana a isalaeli adapulumuka mchipulu mopanda madzi nda chakudya,Zimbabwe survived,we will also survive god can not allow his people to continue suffering he will find us a away.Tiyeni tigwile ntchito molimbika mtima wathu wakale uja oti auje andithandiza uchepe do not wate time talking about donors they also have their own home problems they cant continue aiding us annually no. If the donors are refusing to donate, do you need to fight them to do your wishes? Retrogressive thinking, koma tizingoba basi? What would that cash gate money have achieved! kumangopempha basi! dats de reason we wil never get rich lets take an example of china it waz the poorest country but now its the richest bcoz of cooperation so az even one malawi we cooperate and look for treasures of wealth..up when wil the donerz help us.? What do you mean by that? We are surviving can’t u see? wakeup man. Yes we can if there is political will, if executive stop purchasing expensive car and consider the poverty,we can. If opposition start giving alternative ideas and not blaming game yes we can. When a common understand the resources we have against fertility rate, why not? Mavuto akula kumaposa dziko sheem. Malawi has the money,but our leaders are greedy aiming only to steal taxpayers money. Yes we can,donors wanna even control our mind set too.To Hell with their illuminatic money. Tivomele kukwatana mmatako? ati donor aid sopano. APM monga BINGU akukananso zogwadila milungu yakufa. Malawi Will Survive Without Donor Aid. shutup!! !mw to accept nosence becoz of donor support? Chiyambi ndichovuta,dat is wy ppl r talking someting which wil not happen,we can do without donors but it wil b de tym for de fitest,if we stand strong and stop advertising our porvety even dey gonna come without cal dem but acording to wat is happen,de donors wil take an advantage sy if u need help vomelezan gay marriag then aid wil resume,meaning dat ationa kufooka kwathu,guys dont just sy someting u dont no de outcome. As a man thinks so is he! Even with donor aid, we can’t survive as long as we keep having leaders in the “Silver jubilee ” category. ….What else can they see when their eyes are closed in respect of the next 10-15yrs? It’s true, we can not survive without donor aid. We can not only depend on our domestic revenue. Azunguwa abwere basi ayambenso kutithandiza. Ndiye muzichindana amuna nokhanokha ait?. Mukuona ngati mukuvutika nokha?. Look at Uganda, Zimbabwe, Burudi…. Nchifukwa chokana zausilu…..
Who is a commentator?Who is an analysist? ?Who is Humphreys Mvula?Who is a politician? ?Someone with knowledge pliz assist me!!!! Malawi can survive without donor aid. For the past 50 years the west has manipulated and colonised your thinking to adopt such pessimistic belief. It’s the time to prepare Malawi for the next 50year to survive without donor aid. Correct ! This Donor money has side effects .Afterall the conditions of donor are slavish we spend first our local resources they refund strictly on receipts no receipt no refund.How can one be happy with Katapira type aid? APM sadziwa kulamulira dziko but amaona ngati ndi uphunzitsi. A MALAWI kupusa head wa prmy akakhale mtsogoleli wadziko? Nonono! EMULYN boma ili siliganiza coz umene zithu ziliri pano boma silingapereke MK80,000,000 ati athandizire anthu amene amakwatirana amuna wokhawokha. Chabwino mugabe adapanga zoterezi? ukaona mugabe adatenga anthu 14 upita ku USA pamene PETER adatenga mafumu ndi ena wopanda phindu wokwana 120 ndiye uziti PETER akuyendetsa zithu bwino? think twice, ndi ulamuliro wuti udafika poti kuchipatala umadya kamodzi? sukuganiza wamva and iweyo ndiwe womvetsa chisoni coz abale ako akufa muzipatala ukuti akufa chifukwa chosathandiza boma. chuma chake chiti? hahaha! iwe sukudziwa kut tikunena za msokho wanga, wako and wathu? tamachangamukani inu asah! Maonga ndiwe mbuzi yamunthu ukulephera kulamulira agalu akwanu ndie uzinena kut APM satha kulamulira? Mwina uli ndi thonje m’mutu ndakuoa. mxieeew! Pembe sindikudziwa umunthu wako and sumaganiza mpang’ono pomwe. Kut ulibedi nzeru ona chi profile pcture chako! Sukudziwa kathu mbamva iwe! fulu iwe mbuli ndindani? kodi bakili adalamulira adali ndi maphunziro anji? ndiye ukukhalira kumbuyo mphunzitsi wa ana a mkaka? fotseki! what if the donors say they want gay? You are saying that Malawi needs donor aid, yet someone a week ago said the age of donor aid was over. So which is which? Especially the MWK92,000.000,000 00 and the MWK577,000,000,000.00 the audit report needs to speed up as well.